There is some early evidence that ginseng might temporarily -- and modestly -- improve concentration and learning. In some studies of mental performance, ginseng has been combined with ginkgo. While these studies are intriguing, many experts feel that we need more evidence. Look at the nutrition label on your orange juice or multivitamin and you may notice that Ginseng Panax Extract has been added. That's because smart marketers have caught on to this herb's 2, 000-year-old reputation as a "feel good"
Ginseng has traditionally been used for a number of medical conditions. However, its benefits for most of them haven't been seriously researched. 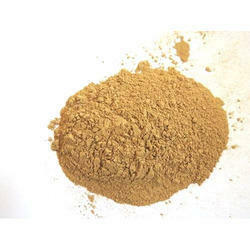 Withania Sominifera is available both in its natural whole and powdered forms. The international quality standards are maintained while processing the Withania Sominifera to make its powder for various use. Heart TonicRed panax ginseng's antioxidant properties benefit patients with heart disorders by decreasing the oxidation of LDL chloresterol. This type of ginseng exhibits a similar protective effect on brain tissue. According to MedlinePlus, studies did not show that ginseng prevents these problems. 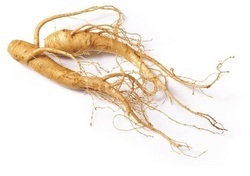 Scientific Name: Panax ginseng C.A.